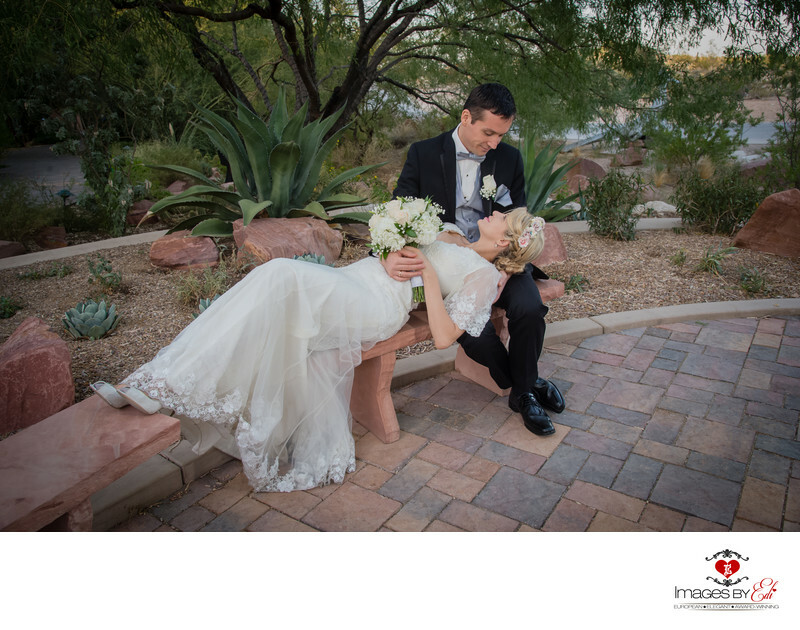 Spring Preserve is the perfect location to create beautiful wedding pictures in the garden area. It's very unique in Las Vegas to be surrounded by that much greenery. The couple enjoyed a little alone time lying down for a minute on the bench. The bride is wearing a cream color wedding dress and white shoes with cream color bouquet in her hands and headpiece from little colorful flowers.